CA Foundation Study Materials PDF Download: In this article I am going to provide you the CA Foundation Study Materials pdf links. Students must have passed 10+2 to do this CA foundation course. Many students who have already joined in this course are searching for the CA Foundation Study Materials. So here are the study materials for you. Download the CA Foundation Study Materials in PDF Format. ICAI has recently revised the CA CPT course as CA Foundation. Now I am going to provide the CA Foundation Study Materials for the new CA Students. Download the PDF Format of CA Foundation Study Materials for 2018. 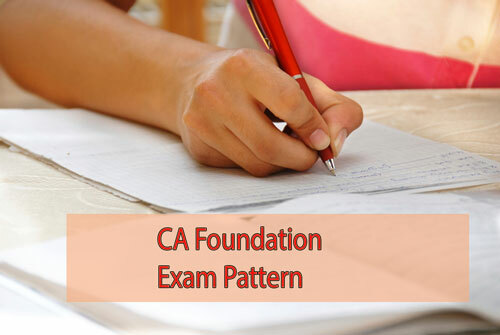 CA Foundation Pattern is the revised CA CPT Course. CA Foundation exams will be conducted in the months of May and November every year.CA Exam will be held in four days. ICAI has released the exam dates of CA Foundation . CA Foundation Exam is of 400 marks. There will be negative marking only for objective type paper. There is no negative marking for subjective type papers. 25 marks will be deducted on each wrong answer of objective type paper. Links to the pdf files are provided below. you can download ca foundation study materials by following these links provided below. Hope this article is useful for the CA students to download the CA Foundation Study Materials in PDF Format which helps them a lot in their Exam preparation.